I have modded and uploaded a lot of JAVA Apps for this blog. You may think, How these apps are modified. Many users have requested me to post a tutorial on "How to edit JAVA apps". Thus you can create your own Handler mods and apps. Thus you can hack your networks for free Internet and anonymous surfing! Here I will explain how to edit Name, version etc. 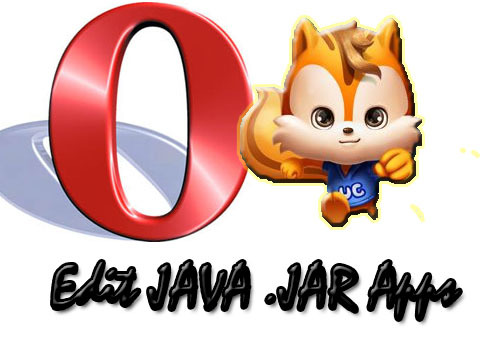 of any JAVA .Jar app. Also, I will teach you how to change Icons, inside images etc. of apps. You can also ad frontquery, backquery etc. You will be also able to edit the title and strings inside the app (for eg: "Opera Mini" is the title which shows in the top of the app in Opera Mini). Note: This is just a basic tutorial. For creating handler Menus, edit and add menu items, you need to learn j2me and it needs some complex algorithms. So, I will explain about them in m next part of this tutorial. If your are reading this from mobile, It would be better to switch to your PC for better understanding. A Compression Utility like Winzip, Winrar, 7Zip etc. An image editor in case you want to edit icons, images etc. First, extract the .jar files you want to edit to a folder. 1. To edit App name, version no., delete confirm message etc. Open manifest.mf file (usually located in META-INF folder) using notepad. There you can edit app name, version etc. Here is an example of UC 8.5 handler app which was modded by me. Now save the changes. We can add the app later. 2. Editing icons,PNG images, inside images etc. Article in progress.... come back later for complete article or subscribe to our feeds to get it in your email inbx when completed. i request to show apk editing.